Viktoria Ptashnyk called on the candidates to the Constitutional Court not to run from political parties. The law On Constitutional Court, adopted by the Verkhovna Rada in July, provides that parliamentary factions, groups and individual deputies may nominate candidates for Constitutional Court judges. 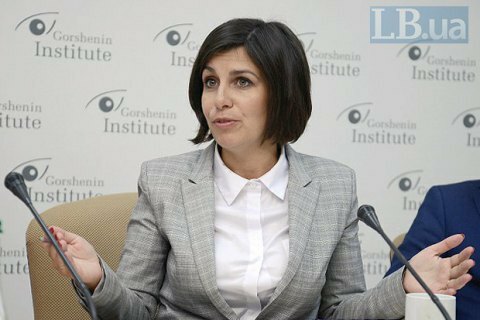 Such a norm may help political forces strengthen their influence on the work of the Constitutional Court, MP Viktoria Ptashnyk said at the round table, organized on 1 November by Gorshenin Institute and the Reanimation Package of Reforms. "Alternative candidates, in order to be admitted to the competition, are forced to attend a meeting of a faction, and get acquainted with its leadership. And only after that their candidacy can be nominated or not - if the candidate, for example, fails to establish contact with the leader of this or that faction," the lawmaker warned. In view of this, Ptashnyk urged the candidates for the position of Constitutional Court judge to file applications in bypass of party factions, but through the parliamentary committee for legal policy and justice. The Verkhovna Rada on 13 July adopted a new version of the law On the Constitutional Court, which provides for competitive selection of candidates for the position of judge of the Constitutional Court. The contest started on 19 October.